Well, Hello there. I’m back. Happy 2015! 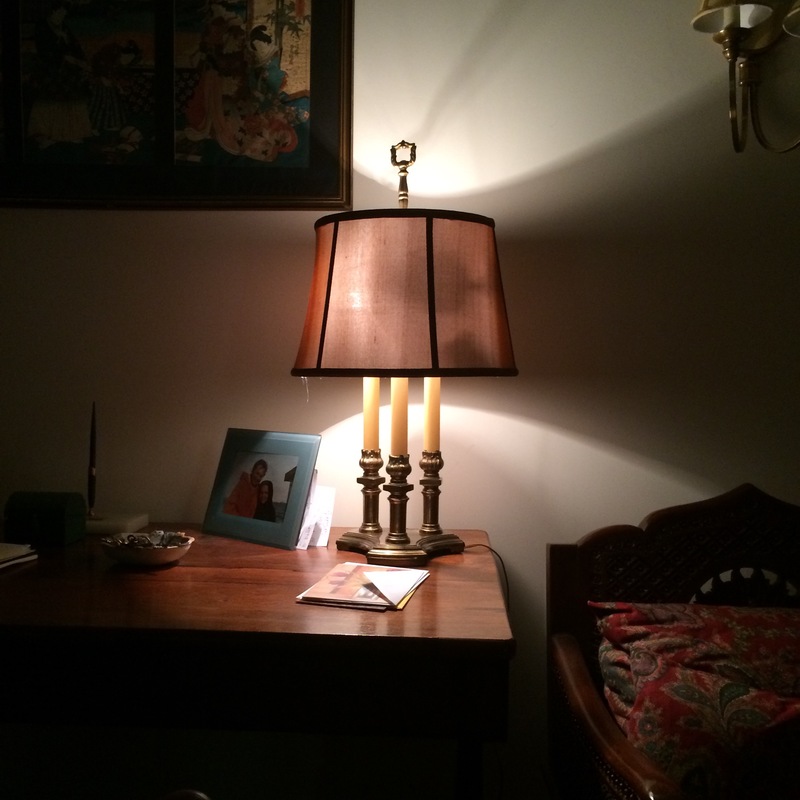 If you read the last newsletter I wrote, which was sent on Dec. 2014, I announced the “dimming of my digital lantern”. Not only did I begin to pare down my workload on Dec.. 16th, I deleted the work-related social media posts that were scheduled to automatically post to Facebook and twitter on various days during the holiday period. I decided to also “unschedule” newsletters as well.Why? I needed a true work break and some digital/internet quiet. How could I give myself a quiet break yet continue to post noise for others to hear? I was one less chattering voice in the cacophony of self-promotion, sales, strategy, calls-to-action and the like that make up work and online/life. I used the time to stand back from the canvas of my work and just look at the big picture I’d been symbolically painting. I examined my goals and intentions to see if they really represented my deepest DESIRES. I hardly sat down at my desk, I seldom checked email (even on my phone) and made no work plans. I made things with my hands, looked at peoples’s faces, listened to voices of others as well as those ringing in my own head. Internally, I got pretty quiet, though externally I was sometimes festive.I don’t think I had any major epiphanies or breakthroughs. I wasn’t necessarily expecting any.Quiet does not have to have an agenda.That’s it for me. What about you? I’m looking forward to hearing what you did.